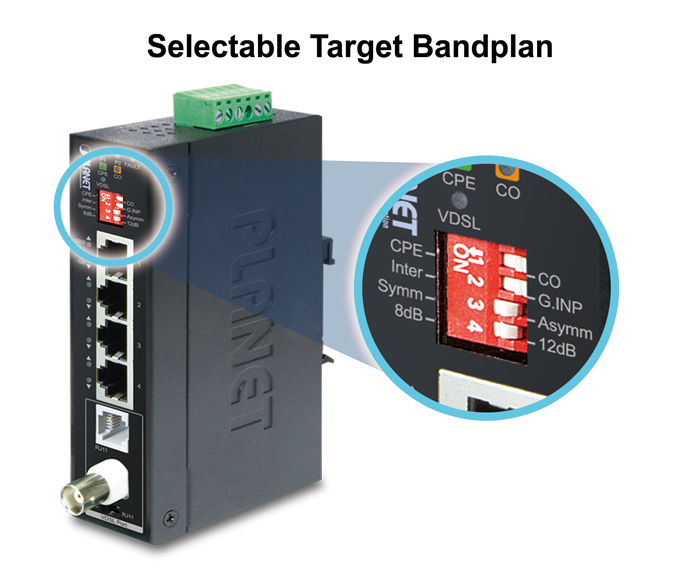 PLANET’s Industrial Ethernet Extender, the IVC-234GT, features one BNC port and one RJ11 port for long-distance connection with the VDSL2 (Very-high-bit-rate Digital Subscriber Line 2) technology, and 4 10/100/1000BASE-T RJ45 Ethernet ports. 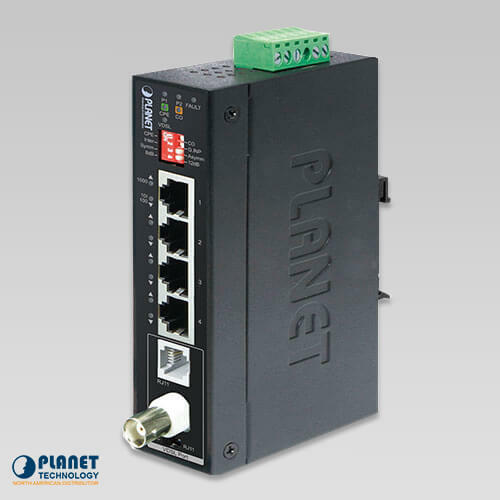 PLANET’s Industrial Ethernet Extender, the IVC-234GT, fulfills the need of long distance and high speed required Ethernet over Coaxial or 2-wired UTP applications. 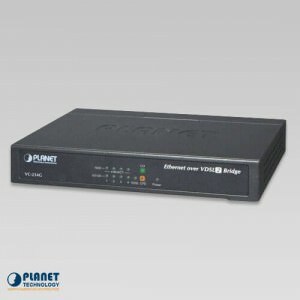 It features one BNC port and one RJ11 port for long-distance connection with VDSL2 (Very-high-bit-rate Digital Subscriber Line 2), and 4 10/100/1000BASE-T RJ45 Ethernet ports. 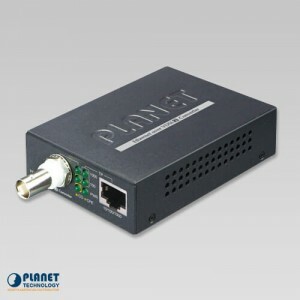 Its slim-sized metal housing makes the placement of the unit convenient. 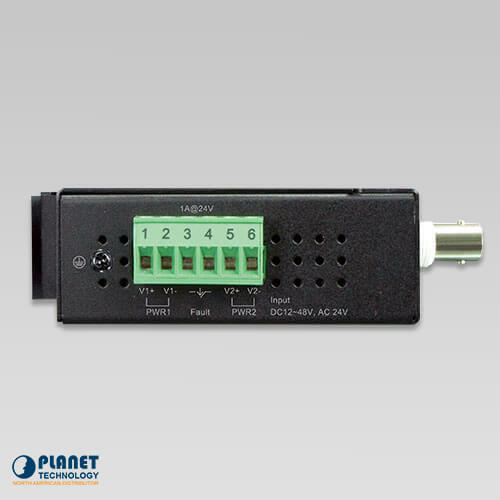 Working well with a coaxial or RJ11 network, the IVC-234GT provides an excellent bandwidth total duplex data rate of up to 300Mbps which can extend a maximum distance up to 1.4km. If the IP network consists of HD IP cameras, wireless access points, NVR’s and digital signage displays and require an extension of beyond the 100-meter distance, the IVC-234GT will be the best option. 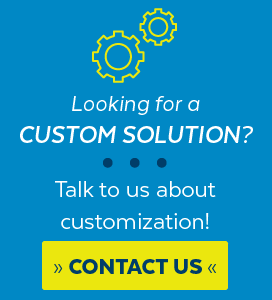 It can transmit data over coaxial cable or telephone wire. 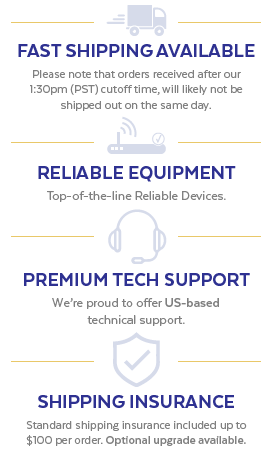 The 100-meter distance can only be extended on an UTP cable. 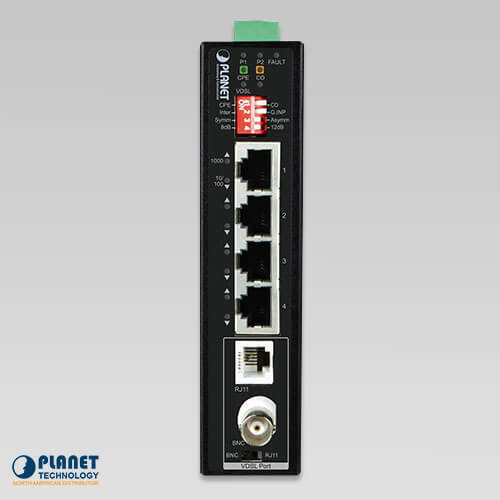 The design of the IVC-234GT is based on the two-core networking technology, Gigabit Ethernet and VDSL2. 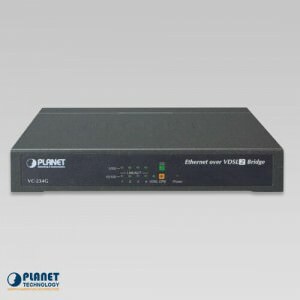 The IVC-234GT offers a stable yet high-speed point-to-point network access up to a duplex data transmission of 300Mbps. 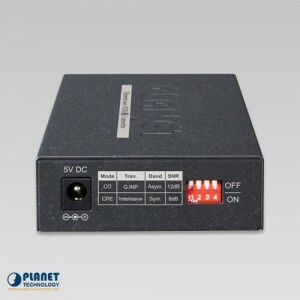 It provides 2 selective transmission modes, asymmetric mode or symmetric mode, for the transmission of upstream and downstream signals. 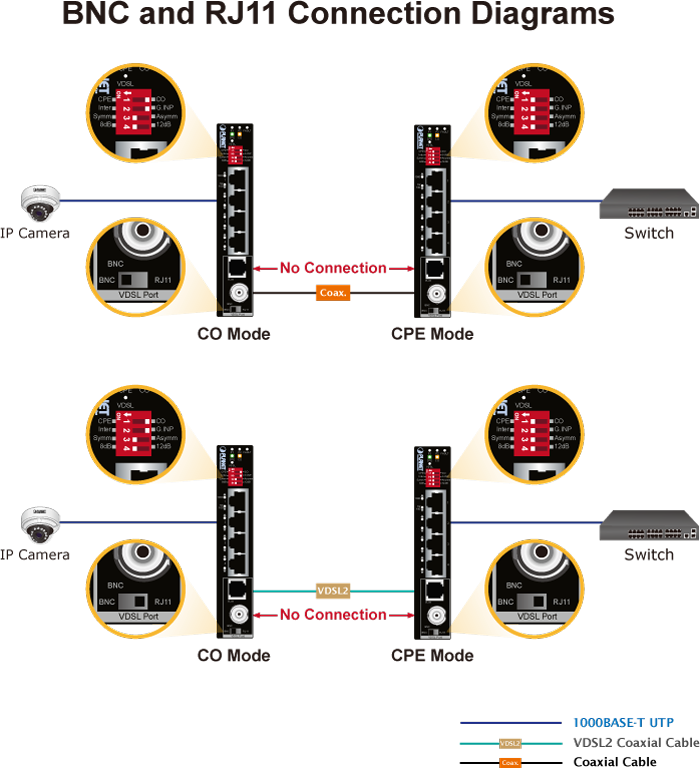 The symmetric mode provides the similar transmission rate on both downstream and upstream while the asymmetric mode performs higher transmission quality in a short range. When the IVC-234GT is in the symmetric mode, it provides a better upstream performance, and when it is in the asymmetric mode, it gives a better downstream performance. 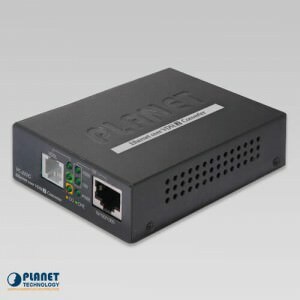 For ISPs providing ADSL broadband services, the IVC-234GT can support a downstream rate of up to 24Mbps and an upstream rate of 1Mbps with ADSL2+ technology. 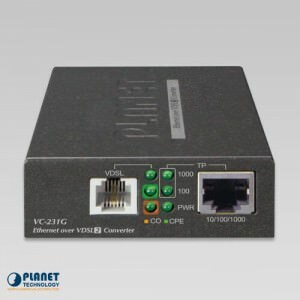 The IVC-234GT can also be directly switched over to VDSL2 after the network upgrade.